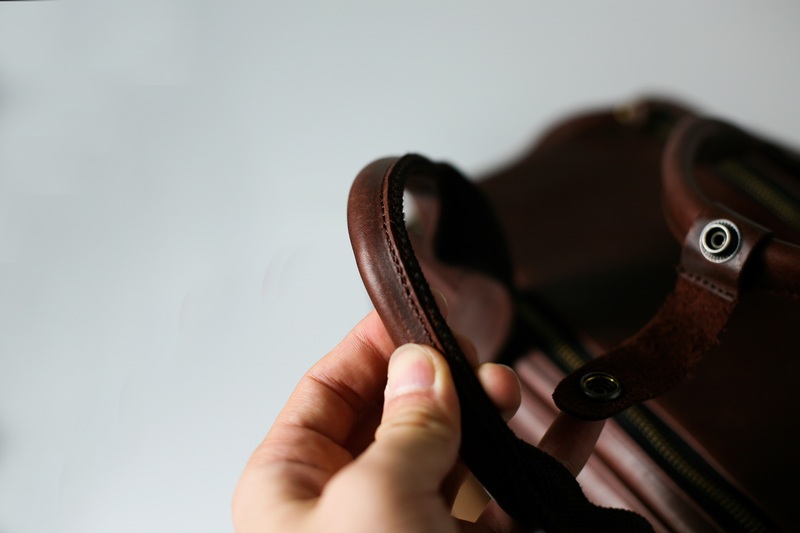 Builford is well-known and beloved for the detail work on its bags and backpacks. Because of that, we expected no less from the newly released Camera Bag, which joins the collection as a specialized bag for photography enthusiasts. The bag, advertised as appropriate for amateurs and professionals, promises a lot. Does it hold up to those promises? As far as we can tell, it does. That’s especially due to the detail work. First of all, the main compartment is both padded and reinforced, which supports the lenses safely and securely. The camera bag’s design and interior work allows it to keep its shape, protecting the equipment inside. Once the zippers close all the way, the flap finishes securing with a velcro strap. It’s very secure. The leather is the same specially treated leather that Builford always uses, which keeps it from drying out or cracking, even when it encounters moisture. 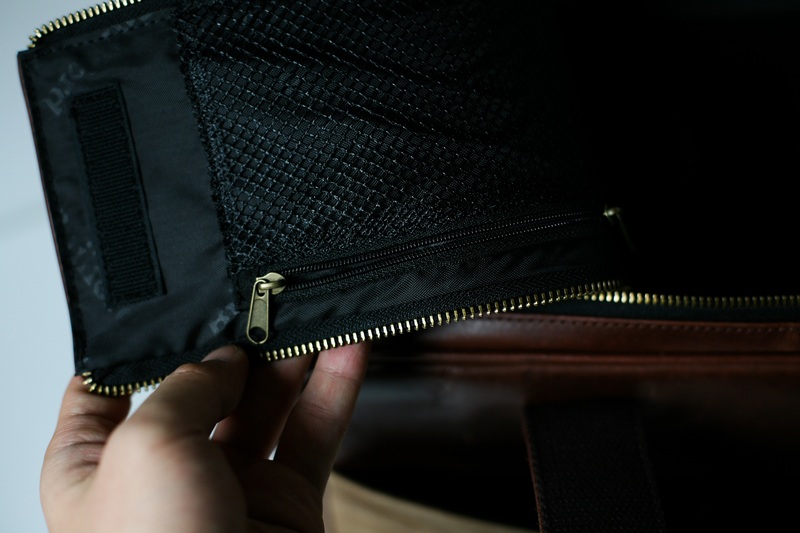 The underside of that zipper is also put to good use, with a mesh pocket for small valuables — such as memory cards, batteries, and etc. This camera bag’s exterior doesn’t lack either for details. The bag’s bottom features small metal feet to keep the underside from getting wet or dirty. There are four large pockets, two on the front and one on each side, for extra storage. These pockets, as usual, hide magnetic snaps under the false buckle. It’s an easy way to close the pocket, but the bag’s vintage style isn’t compromised. 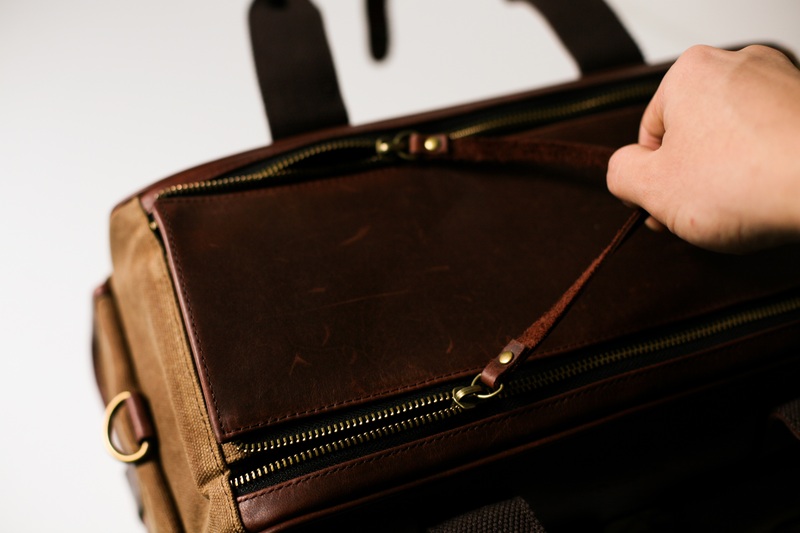 It does indeed look as though Builford’s camera bag is made with the same care and attention as the rest of its bags. 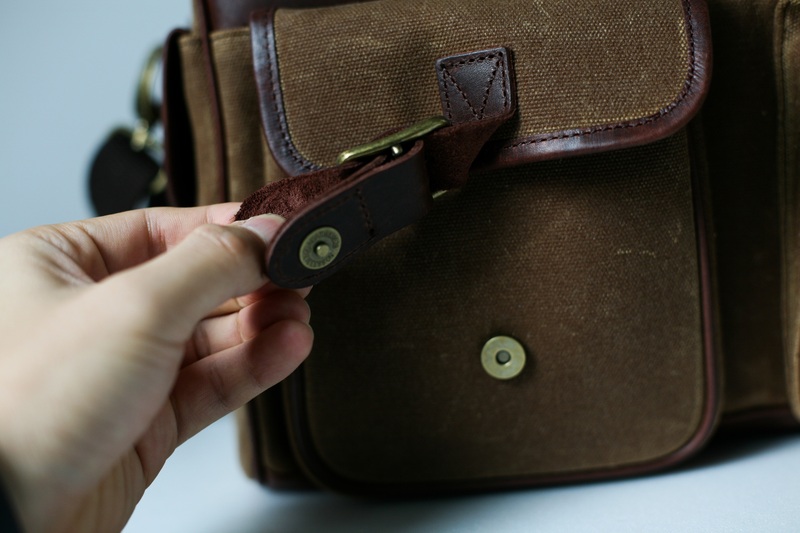 Even a look at the leather handles reveal the intricate stitching, which allows this bag to stay with you for thousands of photographs to come. 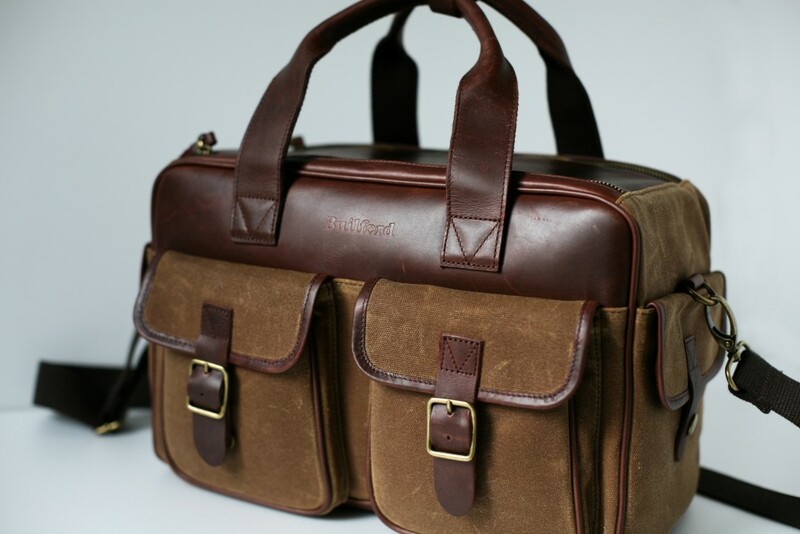 To find out more and order your Builford Camera Bag today, visit the website here. 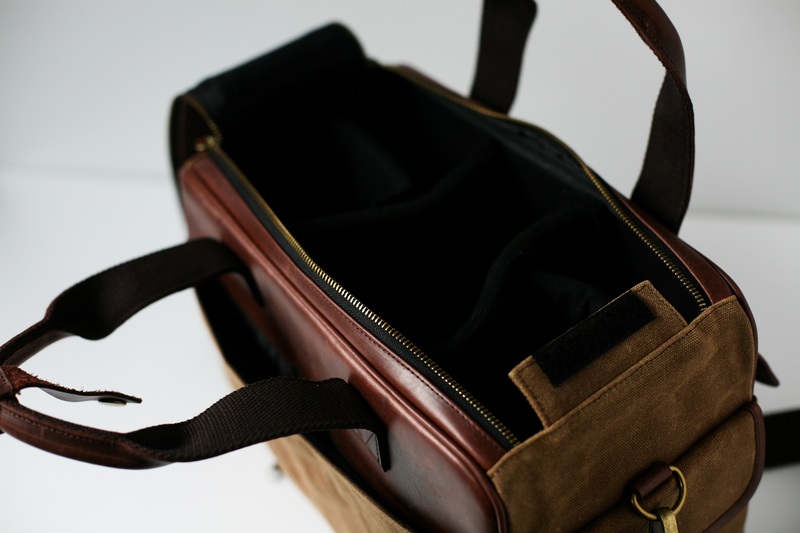 Share the post "A Closer Look at the Builford Camera Bag"
Posted in Fashion Review and tagged builford, Builford waxed canvas, builford waxed canvas bag, camera bag, tool bag, waxed canvas bag, waxed canvas camera bag. Bookmark the permalink.